Working hand in hand, our heavy duty chassis trucks and plastic tanks offer a hardy and incredibly strong storage and handling solution for transporting heavy loads of products or goods. Used throughout a vast array of industries including waste and recycling, food manufacturing, pharmaceuticals, engineering and many more, the chassis trucks and plastic tanks provide long lasting and reliable pieces of material handling equipment. 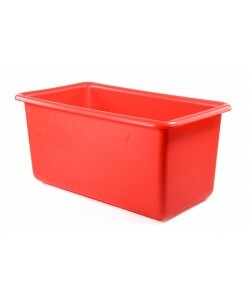 Designed initially to be used throughout the food industry, the plastic tanks are manufactured by Fletcher European, using food grade polyethylene plastic. 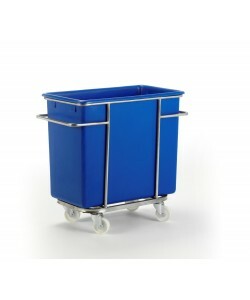 The chassis trucks are produced from a high quality stainless steel, creating an incredibly durable and hygienic means for transporting the plastic tanks. Available in four sizes as standard offering capacities of 135, 200, 320 and 455 litres our selection of chassis trucks are ideal for a number of applications. 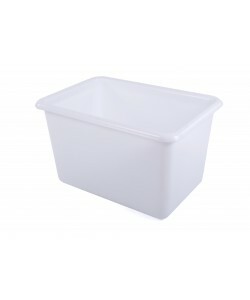 Used within the food manufacturing industry as dough bins, where large batches of dough are left to rise, the plastic tanks are incredibly hygienic. Produced via rotational moulding using a single one-piece mould, the plastic tank is seamless, watertight and incredibly strong, nigh unbreakable. 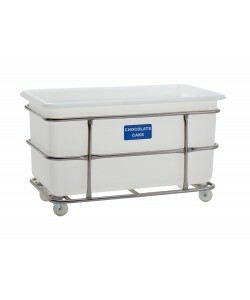 Their smooth and crevice free construction makes the plastic tanks effortless to clean and easy to maintain. Ideal for the movement of heavy products and liquids, the chassis trucks and plastic tanks can be modified to suit different applications. 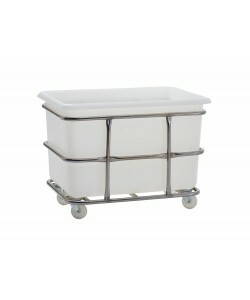 With drainage bungs and plastic taps available, emptying the contents of the plastic tanks can be easily done. 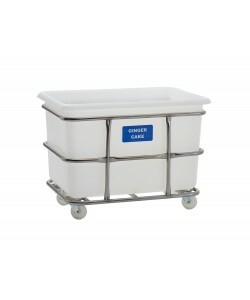 These chassis trucks are very durable and often they are used within the food industry and industrial kitchens as makeshift decarbonising units. As the chassis trucks and tanks are able to hold liquids effectively, they are often filled with decarbonising solution and used to soak large utensils and apparatus in. 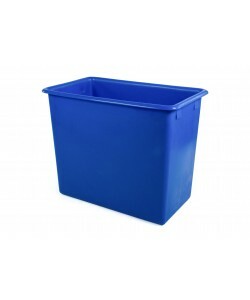 The plastic tanks, rotoXTK30, rotoXTK45, rotoXTK70 and rotoXTK100 are all available in a wide selection of different colours. 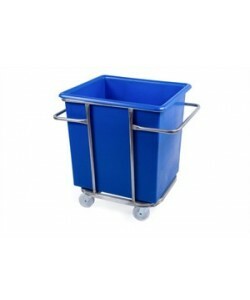 This vast array of colour options allows you to adhere to any colour coding practices you may have in place, perfect for food processing, waste and recycling applications. 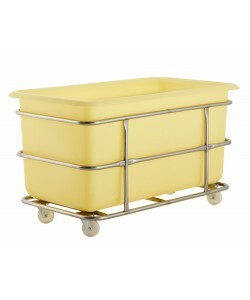 Each of the sizes of chassis trucks and plastic tanks can be supplied complete with optional lids. 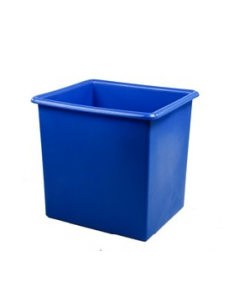 Chose from drop on food grade plastic lids, available in the same colours as the plastic tanks, or hinged lids that can be fitted, allowing you to access the contents of the tank without uncovering it completely. Several other optional extras are also available for the chassis trucks and plastic tanks including upgraded castors and lid holders can also be added to all chassis. Our labels and labelling services are also available, for more information on labelling please feel free to contact our dedicated sales team.